This blog is a labor of love featuring vintage newspaper articles, pictures, quotes and more about Rudolph Valentino – Actor, writer, dancer a multi-talented man talented and serious about his craft and the life he lived and those he loved. Late one night I was watching TV and seen Rudolph Valentino in one of his movies “The Sheik” and from that moment on I became a fan. There was something about his acting and the way he looked and moved. Like countless other people who became a fan of his I was eager to know more. What did people say and feel about him what was his life like back in early twentith century. Since the first article published I am finding out there is so much to discover. So enjoy as each post you discover there really is more out there. Interesting material you have presented here on Natacha Rambova. I loved that photo you had of her on a dig. That looks like an early expedition, possibly in the 1930s? Also, where did you get that lovely quote from her about her dream of having a library dedicated to religious symbolism? You are right, there are many things yet to be discovered about that fabulous lady and your attention to her was well crafted. I am soon to come out with another book, a compendium of Rambova material that I was not able to publish in my biography of her back in 1991. Mr. Morris, I LOVE your book about Natacha! I have read and reread it literally scores of times! Thank you for this masterpiece, a great source of information on the silent era of Hollywood. Great, informative and detailed blog. Thanks a lot! My mother and father knew George B. Wehner well. In fact, they met at a seance at Wehner’s house in February 1941. My father was living in Wehner’s house at the time, employed as the orchestrator of his upcoming Piano concerto, which was premiered in August of the same year. I found your summary of his life very helpful. 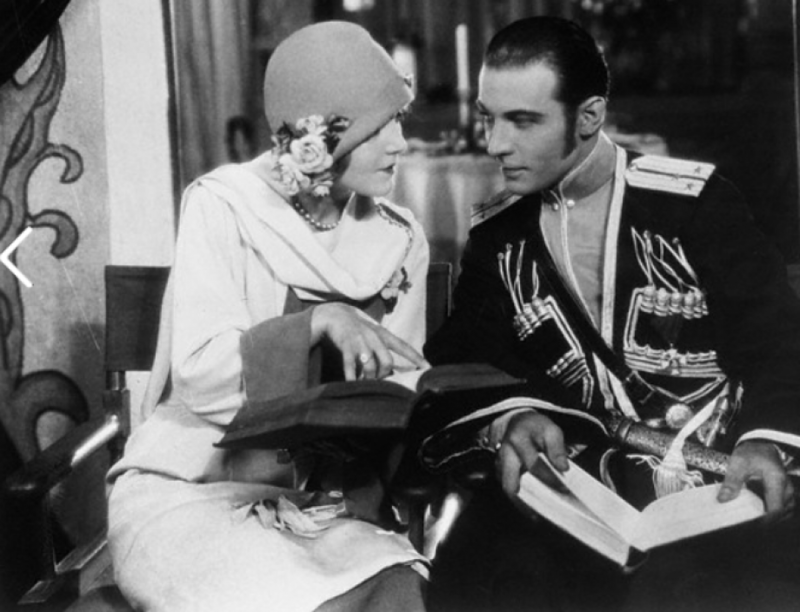 LOVE reading all of the interesting articles and pictures you post here on Rudolph Valentino. There are very few sites out there for a fan to go. I am so glad this blog is here! Thank you for your dedication and consistent posting to this blog. I just discovered Valentino as part of the family history project where I am learning what it meant to be an Italian immigrant and an Italian-American during the early 20th century. Rudy’s experiences were very typical of the fear and misunderstanding caused by the great wave of immigrants from Southern Italy beginning in the late 19th century. Thanks to the large collection of news articles you have curated, I now can see that even at the higher levels of society some of his peers and the press were just as prejudiced. You have created a valuable resource and I encourage you to continue your work.